Porcupines, moose, giant purple elephants, oh my! 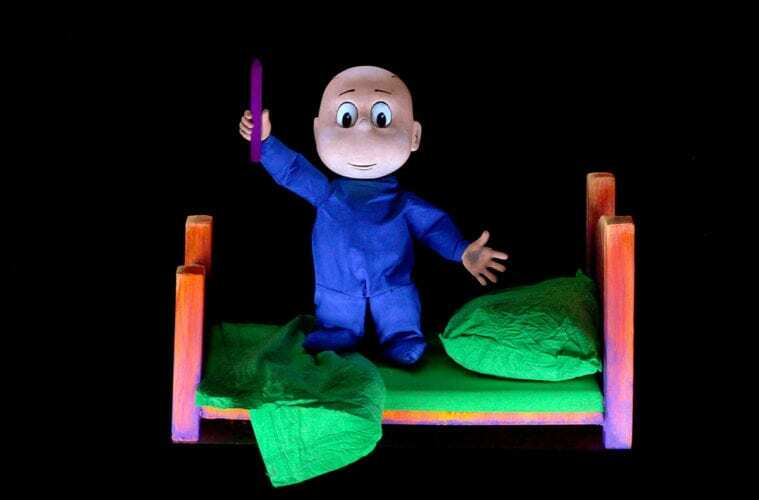 The Center for Puppetry Arts’ Harold and the Purple Crayon, running through May 26, is not your average puppet show. 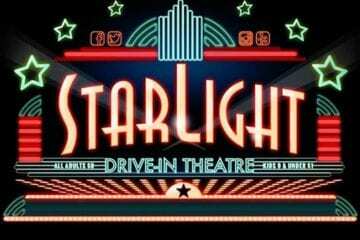 This production combines projections with black-light puppetry to bring the characters from Crockett Johnson’s beloved children’s books to life in a bold, bright way. All of the puppets are painted with UV paint. Black lights are used to illuminate the characters and make them appear three-dimensional against the dark background. At the top of the show, it takes a moment for the eyes to adjust to the unique lighting. 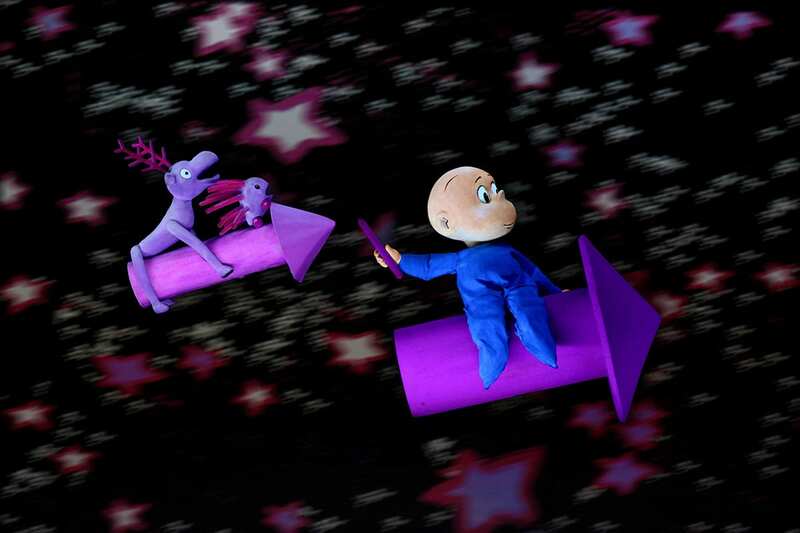 Harold tosses and turns in his bed before his magical purple crayon appears to begin his adventure. The lighting and projections create so much dimension that they trick the eye into thinking you’re seeing a film instead of a live show. As the show continues, it becomes easier to distinguish what is animated projection and what is live-action puppetry. It feels like a fun optical illusion and creates some beautiful colors. To add even more visual dimension, projections move the story line forward as Harold travels through space and time. Climbing down the dependable stars, walking across a magically appearing tightrope, building a giant clock (then being surprised about how late it is) — Harold’s adventure takes him to the furthest corners of the imagination. The live voice acting and singing culminate in multiple different design elements, creating a seamless performance. The collaborative efforts from local students is what makes this performance special. The Center for Puppetry Arts worked with second-graders at Burgess-Peterson Academy (BPA) to support the creation of this new show. Aretta Baumgartner, education director at the Center, writes in her program note that she visited BPA four times between October 2018 and April 2019. She led students through a variety of activities so that they could help select the books used to create the show, create images of Harold’s world and guide the musical themes that accompany the production. This collaboration ended in a field trip to the Center, where the students saw the show they helped bring to life! Once again, the Center for Puppetry Arts‘ focus on education-driven productions has resulted in a show that patrons of all ages can appreciate for its quality and production value.